True Heart Rescue strives to find the best home for each of our dogs, and we adopt out "for success." We want our rescued dogs to thrive in a home environment, so we work to place them with the best possible match to their needs. We also want our adoptive homes to be successful, so that dogs are not returned or rehomed. We offer counseling services post-adoption, at any time to help with new issues, behavioral or otherwise. Submitted applications are processed by members of our volunteer staff, and may take 2-3 weeks to be completed. Please be patient with us as we work to gather information from your references. We will be in contact with you through the process when questions arise. You will be notified once we complete your application and receive board approval on the findings. 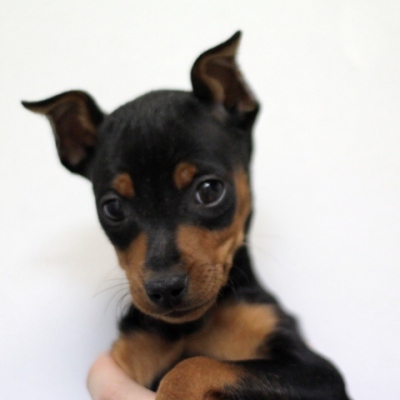 Below you will find the full list of True Heart Pinscher Rescue's available dogs. Please click on the picture of the dog to be taken to more information, including applicable adoption fees. If you are interested in adopting a dog, click on the blue "Adopt" button to go to the Adoption application. If you would like to foster this dog, please click on the blue "Foster" button to go to the Foster Application.